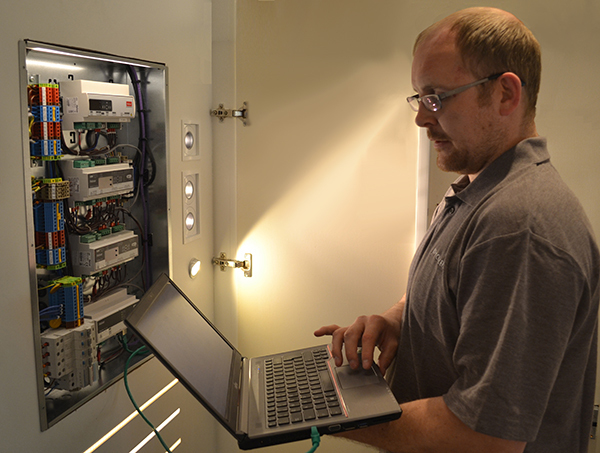 We are excited to launch our new residential lighting controls service. Usually lighting design, light fittings and lighting controls are handled by separate companies. This route is open to creating problems and issues along the way. To make your life a little less troublesome, we now offer all of this under one roof with our complete end-to-end lighting solution. Our new residential lighting controls package incorporates lighting control project solutions and in-house technical support to deliver a managed scalable package to give you peace of mind. Whether you are looking to light just one room or a whole house, we can tailor-make an end-to-end solution from lighting design, lighting products, control system design and control products to ensure that you have trouble and flicker-free lighting. From retro-fit, an upgrade or a totally new system, you can be assured of the best bespoke solution using the latest digital technology which can interface with your smart phone and tablet. Whether you are looking for a simple lighting control solution for stand-alone and single room application to a digital networked lighting control solutions for multi-room whole house solutions or a retro-fit control system, you can be assured of the complete solution. Our systems use open protocols to ensure integration with your AV if required. In addition, John Cullen Lighting now offers LuxCare®, our unique Service Level Agreement. Select the level of care you require and we will ensure that your lighting looks as good as the day it was installed. Whether you are just looking for an extended warranty on our luminaires and drivers for 5 years with our Core Cover, or a bi-annual maintenance visit, extended warranty and future discounts with our Plus Cover or annual maintenance visits, extended warranty, discounts and a rebate on new projects with our Comprehensive Cover, we have a level of cover to suit your requirements. Contact us for full details of LuxCare®. With over 50 years’ experience across the controls team, in product development, sales, project management, commissioning and service; John Cullen Lighting offer a total lighting solution including lighting design, luminaires and control together designed, managed and delivered by one team directly to your installer taking the stress out of dealing with multiple suppliers.